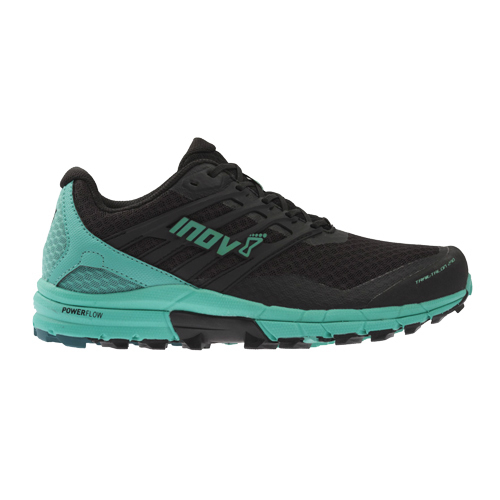 Long distance trail runner that specialises in gripping hard, compact earth. 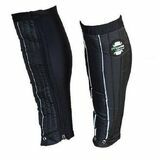 It features an 8mm drop, increased protection, and unrivalled comfort. The Inov-8 Trail Talon 290 is a long distance trail runner that specialises in gripping hard, compact earth. 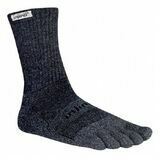 It features an 8mm drop, increased protection, and unrivalled comfort. 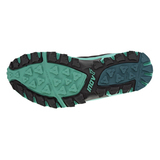 A new flatter outsole ensures a stable ride when fatigue sets in. 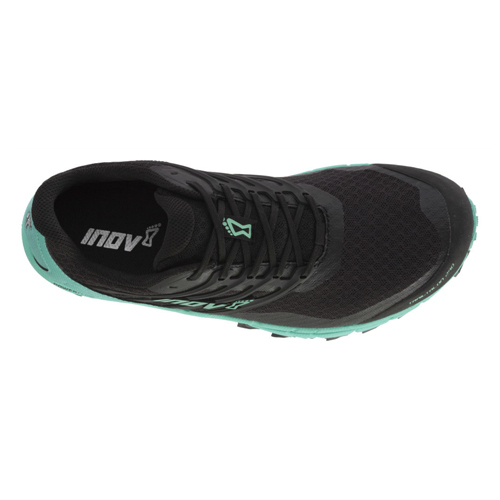 It also features the Inov-8 Standard Fit: perfect for forefoot strikers and wider feet, and with a wider toe box for natural toe splay. PERFORMANCE UPPER: A new, denser weave, quick-dry 3D mesh delivers excellent durability and breathability. SUPERIOR TRACTION: This trail shoe's outsole features Inov-8’s TRI-C rubber compound, with a carefully blended combination of rubbers (sof sticky, hard sticky and endurance) for industry-leading grip and durability. The multi-directional 4mm lugs have a wide contact area for aggressive grip, excellent stability and quick debris release. CUSHIONED RIDE: The advanced POWERFLOW EVA midsole delivers 10% better shock absorption and 15% better energy return than standard midsoles. The cushioned 6mm PowerFootbed delivers plush comfort with every step. PROTECTION: A welded film toe bumper and flexible rand protects your feet from sharp sticks and stones, while the DFB (Dynamic Fascia Band) shank delivers a kick of energy with each step for more efficient running. FLEXIBILITY: The META-FLEX insert allows your forefoot to flex naturally, while next-generation ADAPTERFIT MET-CRADLE lacing adapts to natural swelling of your feet on longer runs. 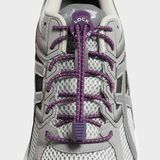 SUPPORT: An external heel cage at the shoe's rear locks in your heel for foot stability, aiding fatigued runners to maintain a better gait. 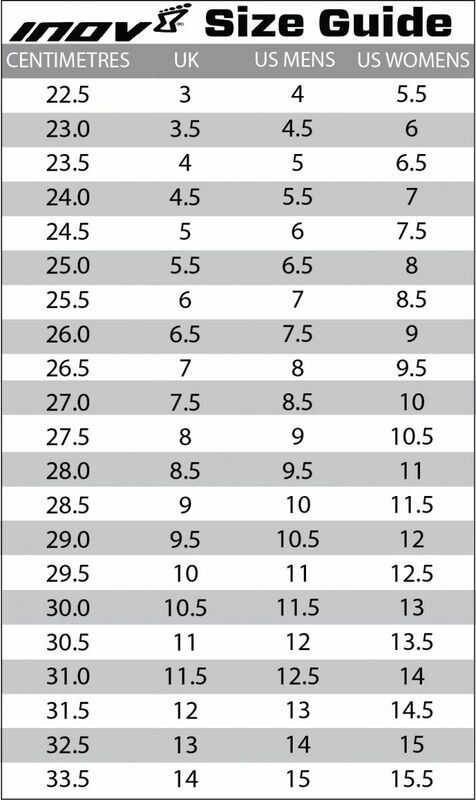 GAITER ATTACHMENT: The upper design incorporates gaiter pockets, allowing low-profile gaiters such as the Inov-8 All-Terrain Gaiter to clip in and keep debris at bay. A guesseted tongue further prevents debris from entering the shoe. Choose the Trail Talon 290 if you're looking for a protective and natural trail running experience. 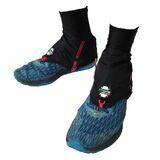 It forms a great balance of protection and proprioception for the developing trail runner, and is an excellent cushioned option for ultra distance running training. 6 Month Limited Warranty covering manufacturing defects. This does not cover normal wear and tear, misuse or accidental damage and is conditional upon care instructions being followed.